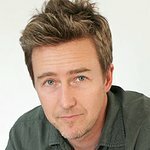 Last month, Look To The Stars brought you news about Edward Norton's New York Marathon charity challenge to benefit the Maasai Wilderness Conservation Trust. We can now reveal that singer Alanis Morissette has signed on as part of the initiative. Morissette will join Norton and magician David Blaine for the run on November 1, which will help the organization protect the East African grasslands which the Maasai tribe calls home and is under threat by rapid industrial development. The Trust also seeks to promote sustainable development. “Just ran a marathon last weekend on behalf of national eating disorder association, unbelievably harrowing and beautiful and moving and surreal experience,” wrote Morissette on her pledge site. "I was blown away on many levels, not the least of which being that at around mile 20, even though it was clear I could NOT keep going, I did. I have to bow down to the human capacity to persevere…and for me, ALWAYS easier to do that with a Star of Bethlehem to keep my eye on and I soldier on. This cause fueling this run is beautiful. And I love Edward and Shauna. Halfway through the marathon last weekend I thought “Oh, I’ll have to tell Shauna and Edward that I can’t do it. It won’t be a big deal. They’ll forgive me.” Then, mere seconds after I crossed the finish line, someone came up to me and said “Will you do it again?”… and I found these words coming out of my mouth: “Yes, November first.” I am committed. For the Maasai Conservation Wilderness Trust. For Edward. For Shauna. For myself. And for the collective idea of tenacity, perseverance and loving/prevailing in the face of fear and pain. Yay, can’t wait. Jumping in last minute, please contribute whatever you feel called to… super grateful. Edward Norton is leading a team of 27 runners who will complete the marathon with three Maasai tribesmen. To sponsor the runners or find out more, visit the official website.